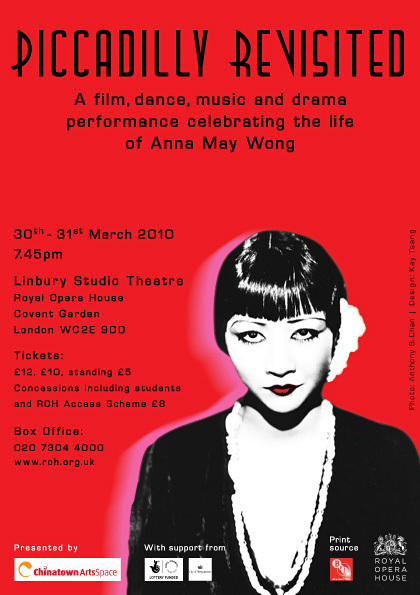 Anna May Wong, and the classic British silent movie Piccadilly (1929) in which she played a starring role. BBC News reports the case of a Chinese medicine practitioner who pleaded guilty of selling pills containing aristolochic acid. A practitioner of Chinese medicine has pleaded guilty to selling a banned substance to a woman who went on to develop kidney failure and cancer. Ying “Susan” Wu, 48, of Holland-on-Sea in Essex, has been on trial at the Old Bailey for selling pills containing aristolochic acid to a civil servant. The judge said he accepted Ms Wu had not meant to harm, and that the case highlighted the need for regulation. Ms Wu has now been given a conditional discharge. UK Border Agency released detailed changes on non-EEA students visa which was announced by Home Secretary Alan Johnson last Sunday. Foreign students from outside Europe wanting to come to the UK to study will be required to meet stricter entry criteria, the Home Secretary announced today. The new regulations will ensure that students studying below degree level have a limited ability to work in the UK, and that their dependants cannot work here at all. It will be even harder for bogus students, whose only aim is to work in the UK, to come into the country. Home Secretary Alan Johnson also confirmed that the government will implement plans to introduce a points test by 2011 for those who wish to earn British citizenship. * a ban on dependants of anyone studying a course lower than foundation or undergraduate degree level from working - they will face removal from the UK if found doing so. 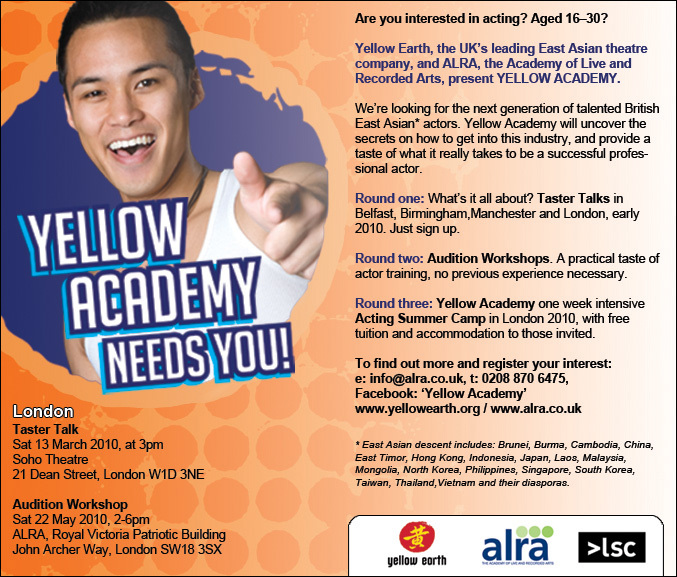 Yellow Earth (UK’s leading East Asian theatre company) and ALRA (The Academy of Live and Recorded Arts) are working in partnership to offer Yellow Academy 2010, an exciting new scheme to introduce British East Asians aged 16-30 to professional acting and performing. 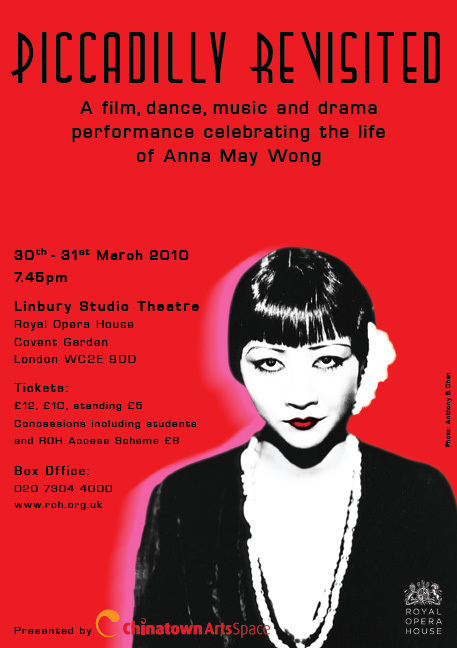 The participants don’t need previous acting training or experiences. 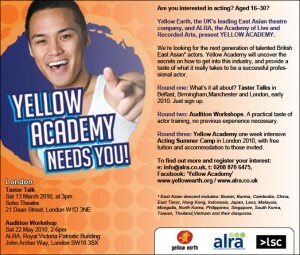 FREE actor training activities are held in Belfast, Birmingham, London, and Manchester from February - August 2010. A man who admitted trying to “sell” his vulnerable sister into a sham marriage as part of a Chinese immigration scam has been jailed. Michael Wright, 22, from Wiltshire, was sentenced to four years after admitting immigration and perjury offences. His sister, 24, who has learning difficulties, was put into social services care after the fake wedding at Reading Register Office was raided. Three Chinese people were also jailed at Reading Crown Court. Home Secretary Alan Johnson announced on Sunday government’s new measures to crackdown student visas, which will take effect immediately. The most affected are those enrolled in short term courses or below-degree courses. The number of student visas could be cut by tens of thousands under new rules making it harder for people to enter the UK, the home secretary, Alan Johnson, announced today. Those seeking to study in the country will have to speak passable English, while students enrolling on short courses are banned from bringing dependants. The new rules, which do not require legislation, come into effect immediately. The changes follow criticism of the government’s point-based system, that was introduced last year. Prospective students will have to speak English to a level just below GCSE standard, treating English as a foreign language, rather than the beginner level as at present. In a move designed to protect jobs for British youngsters, students taking “below degree-level” courses will only be permitted to work for 10 hours a week, instead of the current 20. Those on courses lasting less than six months will not be allowed to bring dependants, while the dependants of students on below degree-level courses will not be allowed to work. Student visas for below degree-level courses with a work placement will also only be granted for institutions that are on a new register, the highly trusted sponsors list.